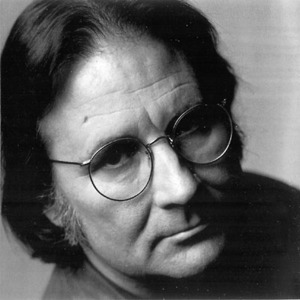 Irmin Schmidt (born May 29, 1937) is a keyboard player, producer and composer probably best known as a member of Can. Schmidt received a formal musical education and between 1957 and 1967 he studied under modern composers Karlheinz Stockhausen and Gy&ouml;rgi Ligeti. Between 1962 and 1969 he conducted numerous orchestras including Wiener Sinfoniker, Bochumer Sinfoniker, Radio-Sinfonie-Orchester Norddeutscher Rundfunk Hannover and the Dortmunder Ensemble f?r Neue Musik, which he founded. Schmidt received a formal musical education and between 1957 and 1967 he studied under modern composers Karlheinz Stockhausen and Gy&ouml;rgi Ligeti. Between 1962 and 1969 he conducted numerous orchestras including Wiener Sinfoniker, Bochumer Sinfoniker, Radio-Sinfonie-Orchester Norddeutscher Rundfunk Hannover and the Dortmunder Ensemble f?r Neue Musik, which he founded. Schmidt also worked as a musical director at the Stadttheater Aachen and taught Musicals and Chanson at the Bochum stage school. Schmidt also gave numerous new music recitals and was amongst the first German pianists to interpret the work of John Cage. His compositions" Hexapussy" and "Ilgom" were premiered by Radio Stuttgart in 1967 and 1968 respectively. During this period he also composed music for various film and theatre productions. His classical career was put on hold after a trip to New York in 1966 exposed him to emerging musical forms and ideas that led to him forming CAN in 1968. As the band's keyboard player, Schmidt's contribution to their groundbreaking career and the evolution of electronic music in general is formidable. When CAN was dissolved in 1978 Schmidt, relocated to the south of France where he established a studio and continued to compose and record over100 film and television scores, a craft he had already become familiar with both before and during his work with CAN. This work is documented on CAN's "Soundtracks" LP (1970) and on his own solo soundtrack compilation, a 3 CD set entitled "Anthology :Soundtracks 1978 - 1993 "both of which are available on Spoon /Mute. His solo soundtrack features his fellow band mates Micael Karoli (guitar) and Jaki Liebezeit (drums). In 1981 he worked with Bruno Spoerri and released his first solo LP "Toy Planet" followed by " Musk at Dusk" in 1987. Schmidt rejoined his former colleagues for the reunion album, Rite Time (1989) and followed this with another solo album," Impossible Holidays" (1991). Thanks to Gormenghast, he met Kumo (UK musician Jono Podmore), sound engineer, producer and specialist in rhythm programming and immediately saw the potential for improvisational collaboration. They performed as Irmin Schmidt & Kumo for the Can solo projects tour. This project also toured events as diverse as the Montreux Jazz Festival, Sonar in Barcelona and the International Jazz festival in London and all to critical acclaim from their respective audiences. In 2001 Irmin Schmidt and Kumo released "Masters of Confusion" on Spoon/Mute. Like his fellow CAN band mates, Irmin Schmidt has been taking a keen interest in the re-mastering of CAN material for both the 2003 CAN DVD release and overseeing the re-mastering of the entire CAN back catalogue in 2004 - 2005 for a re-release on Spoon/Mute . June 2004 saw a new production of his Gormenghast opera staged at V?lklinger H?tte in Saarbr?ken, Germany, a colossal steelworks that is now a UNESCO world heritage site, together with performances at the Grand Th?atre Luxembourg. 2006 - 2007 Composing a Ballet music for full orchestra commissioned by the DEUTSCHEN OPER AM RHEIN ,D?sseldorf.